Where to buy Pardo Translucent Art Clay? Few polymer clay products have created the buzz that Translucent Pardo Art Clay has. It is the clearest brand of polymer clay and it has a reputation for being hard to find. Is that true? Where do you buy Pardo Translucent Art Clay? Translucent Pardo Art Clay, made by the German company Viva Decor, has a lot of fans because you can get tremendously clear results with it. Back in February 2013, I tested all major brands of translucent polymer clay and found that Pardo Trans can be the clearest and most transparent. It’s so clear you can read through thin sheets of it. But that also means that you can use light as part of your art effect. You also color it, making brilliant, clear results. No other clay can give you the clear, glass-like effect. One of the importers for Viva Decor, who supplies the stores and mail order companies here in the US, went out of business in early 2014. Unfortunately, two online shops gave the impression that the Pardo Translucent company is no longer in business. Nothing could be further from the truth! There is, in fact, an importer in the US and supplies of Pardo Translucent Art Clay are sufficient when you go to the right shop. And I’m gonna tell you where to go! Sadly, people still think it’s hard to find. It’s not! In the US, Poly Clay Play has Pardo Translucent on their website. And Creative Journey Studios also currently has stock and is ready to ship them out. Their web store isn’t up and running yet, but give them a call and you can have your Pardo Translucent in mere days. There are several excellent suppliers around the world. Here are some that I’m aware of. What can you make with Translucent Pardo Art Clay? Anything you make with regular polymer clay, you can make with Pardo Trans. But since it’s so much more transparent you can really get a great effect with light and color. 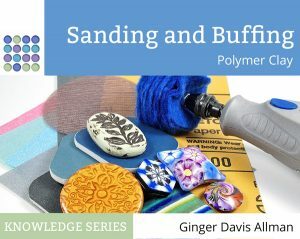 You can learn more about Translucent Polymer clay in this FAQ. I wrote a huge tutorial explaining how to use Pardo Trans to make Faux Sea Glass, Faux Roman Glass, and Faux Czech Glass beads. You won’t believe how much like glass this stuff can look. Check out the pretty Pardo pictures and read about the Faux Glass Effects Tutorial here. 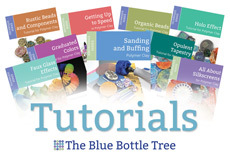 You can read more on this page about the tutorials I offer. Want even more inspiration? Here is a Pardo Trans Pinterest board with a dazzling array of projects that people have made with Pardo Translucent Art Clay. That board is just Pardo. For even more translucent polymer clay ideas, enjoy this Translucent Polymer Clay pinboard. This wrap bracelet was made with faux Roman glass that was created from Pardo translucent polymer clay. Learn to make faux Roman glass with my Faux Glass Effects Tutorial. I have had bad luck with Hobby Lobby having hard or on workable clay. I prefer mail order, check to make sure the clay is good before you purchase. I know what you mean. But in this case they just started carrying it in the last month, so it’s fresh, fresh, fresh! I also know that Hobby Lobby is handling the distribution of this product differently than they did when they carried it before. I attempted to purchase the Pardo at Hobby Lobby today. It wasn’t priced and when I when to the register the clerk asked the department head and she said it was $7.99 since it was jewelry clay. I pointed out that it wasn’t the jewelry clay but art clay and that it was priced too high. She then went to look for the ipad to check the price and when they couldn’t check it, she said the best they could do was $5.99 since all the clay was coming in higher priced lately. I walked out without it. I just finished sending an email to their customer service. The first store I went to this morning didn’t have them priced either. So they called over the department manager who said, “Yeah, that’s new, I know just where that sheet is.” A minute later she called back up to the register and the checker keyed in $3.99. I didn’t know any better and sort of shrugged and paid for it. Then I went to the second store which did have the prices marked and they were $2.99. Oh well. It’s only money, right? But I would have been asking for a manager if I were you. That’s just pure laziness on that checker’s part. She didn’t want to be bothered with doing a price check. I’m glad you wrote Hobby Lobby, they need to know about that! I’m sorry you had a bad experience. There’s no excuse for that!! Drove back down there today. The clay was back in the clay aisle unpriced. When I brought it to the register I showed your picture with the price tags and the clerk had no problem with the price. There was no sign of the lady from yesterday. I’m still waiting to hear back from customer service. Will still probably complain to manager there next time. Today I just wanted to get the clay and get out of there. Whoa, you’ve got to love modern technology! That’s awesome that the picture worked! And to think I almost removed the price tags before I took that picture. Glad I didn’t. Well you got your three bars, that’s good. And for a fantastic price. The manager does need to know. A good manager would be grateful for the information about what needs to improve. Thanks for letting me know the happy ending to the story. I went back to the first store last week and they had the clay priced at $4.99. I never heard back from customer service so I sent another email this week. I heard back within an hour. He wanted more info, so I emailed him my code off the price sticker and upc info. He replied back that the price for the clay is $2.99 and it should be that in all stores. He indicated that he would be contacting the store and getting the price corrected. I realize that no company can be on top of all its store managers. But incompetence is so rampant in so many places. You’d think they’d be eager to get rid of crappy managers and bring in someone who can at least get their pricing straight!! It’s good that customer service handled it well, though. By saying something you’ve made it better for the next person who needs Pardo, too. I purchased Pardo at my local Hobby Lobby (about 45 minutes East of Atlanta, Ga) today also. While I was checking out, I chatted up the cashier.Ha! She told me they are re-introducing the entire Pardo art clay line, beginning with our precious translucent, followed by primaries. They are also bringing in more Viva molds and accessories gradually…dependant on interest. I told her I didn’t understand how they can judge “customer interest” if they only put out 3 blocks at a time…haha. Luckily, I live pretty close to Buford, Ga and I can make my larger purchases at Creative Journey…Sue and Ellen are GREAT and I barely felt the shortage. (I use Pardo exclusively, and prefer to mix my own colors besides black and white.) Anyway…that’s my Pardo info, Happy Claying, Y’all!!! Ooh, that’s intriguing news! They’ve already got these wonderful double-sided molds in stock. I’d love to see more Viva Decor stuff carried. Thanks for filling me in. Very, very interesting! Hi, do you Knowles where i CAN fin dit in Canada? Unfortunately, I don’t know of a Canadian supplier for Pardo Translucent Art Clay. But you might want to contact Trish at http://www.polyclayplay.com. I know that she ships internationally. It can be expensive, unfortunately, because our postal rates to Canada are stupidly expensive. But if you’re ordering enough, it might be worth it. UPDATE: Shades of Clay in Canada is now carrying Translucent Pardo. http://www.shadesofclay.com in Canada carries it. Bram, I don’t see translucent Pardo Art clay on your website.